New studies have confirmed that eating food before bedtime can be dangerous to health. They have also offered tips to ensure that diets do not lead to sleepless nights. Think twice before having chicken pepper soup for dinner. Eating a big, highly seasoned meal close to bedtime can interfere with your shut-eye. “It’s not that the spice interrupts your sleep,” said an expert, Mark Mahowald, a professor of neurology at the University of Minnesota Medical School. The spice causes heartburn, and that interrupts your sleep, according to studies. Fiery foods can lead to indigestion and reflux, and, as a result, to ‘sleep fragmentation,’ said Lisa Medalie, a behavioural sleep medicine specialist at the University of Chicago. She recommends eating heavy or spicy foods at least three hours before bedtime. Your body can take up to five hours to get caffeine out of your system. And if you are susceptible to feeling jittery, skipping the afternoon meal might not cut it. “Several studies have shown that 30 milligrams of caffeine – about the amount of caffeine in a candy bar – can have alerting effects and disruptive effects on sleep,” said Timothy Roehrs, director of research at the Sleep Disorders and Research Center of the Henry Ford Health Center. Watch out for sneaky caffeine hiding spots like chocolate-covered espresso beans and chocolate cake. “If you take a small slice or have a couple of bites, that probably will not affect your sleep,” said Phyllis Zee, MD, associate director of the Center for Sleep & Circadian Biology and professor at Northwestern University Feinberg School of Medicine. Experts also advise that you should avoid eating anything late or anything that contains caffeine, if you already have insomnia. Your body is not prepared to digest heavy meals or decadent desserts right before bedtime. Not to mention that staying up late, noshing on goodies, may disrupt your normal circadian rhythm, said Roehrs. On the flip side, do not go to bed famished either. “Starvation or excessive hunger causes sleeplessness and increased activity,” said Dr. Ruth M. Benca, director of the Center for Sleep Medicine and Sleep Research at the University of Wisconsin at Madison. Experts further said: “If there is a general rule of thumb, being too hungry makes it difficult to sleep and eating a lot of food makes it difficult to sleep.” If hunger strikes after dinner, try a small snack, such as a mini pack of almonds, an hour before bedtime, said Zee. This story was published in Newswatch Times on February 21, 2015. The move towards arresting the increasing cases of cancer all over the world has been a focus of some selected institutions among which Apollo Hospital, under its special cancer care unit, Apollo Cancer Institute, is taking a bold and giant step in seeking solution. The spate of cancer ailment has become quite worrisome to medical professionals and other stakeholders across the world. It is estimated that over 15 million cases of cancer are diagnosed out of which eight million deaths are recorded on annual basis. It is against this background that Apollo Hospital, a leading global healthcare delivery firm based in India, organized a three-day conference in Hyderabad, India. The high point of the conference was a special round-table session termed “Cancer Menace: Global Perspective” which had 25 delegates and dignitaries from 18 countries from different regions of the world. Participants in the conference agreed that there is an urgent need to galvanize massive inputs and resources on a global scale to arrest the scourge of cancer all over the word. In doing this, it was expressed unanimously that stakeholders within and outside medical professions must begin to attend to cancer issues with utmost and proactive attention. To build a broad-based co-operation among stakeholders and strategize for workable solution, the conference admonished the participants to begin sensitization and advocacy to eliminate ignorance about the general belief that cancer is incurable. All the participants expressed willingness and readiness to embark on massive awareness campaigns that will change people’s belief and attitude by showing that cancer is curable. The conference delegates made a joint declaration to offer a long-term solution to stem the tide of cancer spread in the world. The declaration places premium on public education and enlightenment which stresses prevention over treatment in managing cancer ailments. According to the declaration, adhering to the following four recommendations will reduce cases of cancer drastically: avoiding tobacco use; preventing Viral Infections (HBV/HCV and HVP); preventing obesity; avoiding excessive consumption of alcohol and high consumption of vegetable and fruits. Also, it was stated that early diagnosis and effective treatment reduce cancer morbidity and mortality by 60 per cent. However, the round-table session also made a serious case for intensive cancer screening programmes delivered on a larger scale in communities, states and nations. This kind of intervention to arrest cancer spread, according to the delegates, would require active participation and conscientious efforts of governments, healthcare providers, NGOs and other solution providers in cancer management. In addition, the participants maintained that to achieve milestone feats in addressing cancer scourge, corporate, institutional and national efforts should be geared towards a number of issues. These include garnering political support and working towards realigning government focus on cancer prevention and control and facilitating research on the causes of human cancer, newer diagnostic tools and safer therapeutic options for cancer management. Others are, generating new knowledge and disseminating existing knowledge to facilitate the delivery of evidence-based approaches to cancer control and facilitating broad networks of cancer control partners and experts at global, regional and national levels. The rest are, the provision of technical assistance for rapid and effective transfer of best practice interventions to developing countries. The conference had representatives from various governments, international agencies, academia, non-profits and other key stakeholders in attendance. All the representatives and stakeholders expressed support for and readiness to partner with Apollo Hospital to fight the scourge of cancer all over the world. Being angry could be dangerous to your heart. A new study in Australia found people’s risk of heart attack increases by 8.5 times two hours following an incident of extreme anger. The researchers also found that high levels of anxiety can increase your risk even more – by up to 9.5 times. The findings were published in European Heart Journal: Acute Cardiovascular Care, an agency report said on Monday. Researchers at the University of Sydney found there is a two hour window following a burst of anger when the chance of having a heart attack spikes significantly. 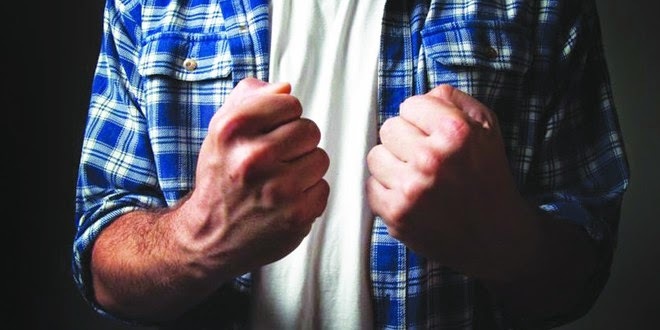 Some of the signs that anger has reached a dangerous level include a tensed-up body, clenched fists or teeth and ‘object throwing’, they said. Authors of the research also indicated that blood pressure reducing medication, like aspirin or beta-blockers prove beneficial. “Our findings confirm what has been suggested in prior studies and anecdotal evidence, even in films – that episodes of intense anger can act as a trigger for a heart attack,” said Dr. Thomas Buckley, lead author of the study from Sydney Nursing School, University of Sydney. “The data shows that the higher risk of a heart attack is not necessarily just while you are angry – it lasts for two hours after the outburst. Reasons for such an intense anger most likely occurs during a family argument, work, or driving, researchers found. High levels of anger were associated with a 9.5 fold increased risk of having a heart attack in the two hours following the anxiety episode. “Increased risk following intense anger or anxiety is most likely due to increased heart rate, blood pressure, tightening of blood vessels and increased clotting, all associated with triggering heart attacks,” added Dr Buckley. In the study, heart attack patients were asked about the social situations in the 48 hours leading up to their admission to hospital. Researchers analyzed 313 heart attack patients from Royal North Shore Hospital in Sydney, Australia, from 2006 to 2012. Once on the road to recovery, the patients answered a questionnaire about their feelings 48 hours before their heart attack occurred. The questionnaire had a seven-point scale and ranged from “calm” to “enraged, out of control, throwing objects, hurting yourself and others.” They also reported what triggered their anger, whether it was a fight, work or traffic. Seven of the participants recorded acute level of anger within two hours before their heart attack symptoms. One person reported acute level of anger four hours before their heart attack symptoms. Five people reportedly feeling mildly angry within two to four hours before their heart attack symptoms. The study noted increase in stress and anxiety can cause an increase in blood pressure, tightening blood vessels, and increased clotting, which are all associated with heart attack symptoms. The researchers noted that having one episode of anger is highly unlikely to trigger a heart attack; however, this study supports previous findings that stress and anxiety can affect the heart and a person’s health. This story was published in Newswatch Times on February 26, 2015. Diabetes mellitus is a condition in which the amount of glucose (sugar) in the blood is too high because there is not enough of the hormone insulin. Lifestyle disease, as diabetes is called, refers to disorders resulting from the way people live, eat and interact with their environment. Diabetes is one of the various lifestyle disorders which have gripped many today. 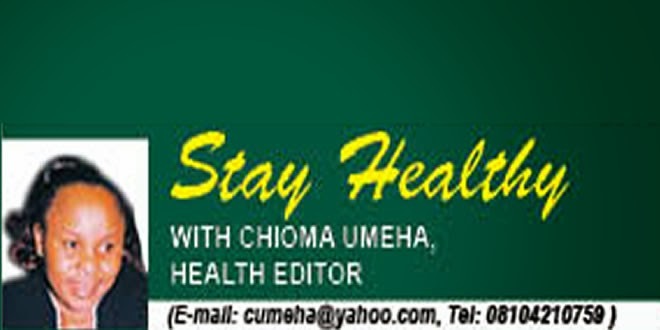 Although Nigeria lacks an aggregate data; physicians state that no fewer than six million Nigerians are living with diabetes mellitus. In India alone there are around 77 million people with pre-diabetes and 64 million people with diabetes which makes India the diabetes capital of the world next to China. This is expected to go up to a whopping 87 million – 8.4 per cent of the country’s adult population – by 2030. Yet, the common beliefs on this exude a sense of unfamiliarity with the disease that is killer in nature. Not easily detectable, most lifestyle diseases like diabetes are insidious in nature. They gradually develop over years and can cause serious complications even when in the pre- diabetic/borderline stage. The good news is that just a lifestyle change can go a long way in reversing pre-diabetes and controlling diabetes. The most prominent symptoms of diabetes are increased thirst, hunger, frequent urination and blurred vision; but the fact remains that the most common symptom of diabetes is that there is no symptom and it is often detected when people go for their annual medical checkups, pre-surgery fitness test or when taking an insurance policy. Type 2 diabetes was hitherto common after the age of 40 years. However, in recent times, individuals aged 25 to 40 years have been presenting clinical features of Type 2 diabetes. The main causes of Type-2 diabetes are sedentary lifestyle, unhealthy eating practices, stress, alcohol, smoking, anxieties and genetics. Irregular visits to the doctor lead to further complications; hence it is extremely important to get an annual medical check-up done by your family physician. Due to fear of hospitals/ doctors/medicines and the high cost factor involved, people visit their doctors only once in a while. In most cases this is done when the condition of the patient has already worsened and little can be done to reverse it. The following are a few guidelines that can change your life for the better and help you live a normal life, with or without diabetes. It is important that blood sugars are monitored on a regular basis and medication and diet is altered accordingly. It is extremely important to maintain the level of blood sugars in the diabetes safe zone (80-120mg/dl) consistently if diabetes needs to be controlled. Also, get your diabetes ABCs checked regularly: A1C* (blood glucose), blood pressure and cholesterol. This story was published in Newswatch Times on February 28, 2015. Imagine you smash your thumb with a hammer. You might shake your thumb instinctively, though that would not be helpful. This familiar swelling process is inflammation. Inflammation is the body’s attempt at self-protection; the aim being to remove harmful stimuli, including damaged cells, irritants, or pathogens – and begin the healing process. When something harmful or irritating affects a part of our body, there is a biological response to try to remove it.The signs and symptoms of inflammation, specifically acute inflammation, show that the body is trying to heal itself. Inflammation does not mean infection, even when an infection causes inflammation. Infection is caused by a bacterium, virus or fungus, while inflammation is the body’s response to it. When you hurt yourself, you experience acute inflammation, but it is only half of the picture, an agency report said. The bad kind of inflammation is silent and you may never know you have it, even after the damage has been done. It is called chronic or low-grade inflammation, and some experts have said it plays a part in every condition – from obesity to depression and cancer. “Inflammation is incredibly complex,” said Dr. Barry Sears, epidemiologist and best-selling author of “The Zone,” a book about managing inflammation through diet. Like most bodily functions, inflammation begins in the brain, when pain or irritants signal the immune system. With your immune system activated, your internal organs are flooded with immune cells. For example, in autoimmune diseases such as Crohn’s or rheumatoid arthritis, the body’s immune system attacks organs or other systems in the body and causes inflammation. “Because the inflammation does not resolve in these conditions, it can cause damage,” said Dr. Wendy Weber, a Programme Director at the National Centre for Complementary and Alternative Medicine, part of the National Institutes of Health (NIH). For example, in Crohn’s disease, the colon is damaged, and with rheumatoid arthritis, the joints are damaged. Managing inflammation can be a delicate balancing act. Because you need your immune response to keep you healthy, you don’t want to completely shut it off. You can take certain prescription drugs to control cellular inflammation, Sears said, but that is not necessary. After years of studying inflammation, he said: “The best drug is your diet.” ‘The Zone,’ he noted, is actually a physiological condition in which inflammation is controlled by the diet he recommended. Along with omega-6 fatty acids such as vegetable oil fats, insulin is a primary driver of inflammation, Sears said. Insulin levels are typically high when we consume a lot of carbohydrates, like sugar and white flour. Conversely, omega-3 fatty acids such as fish or olive oil, along with the polyphenols found in whole fruit and vegetables, tend to lower inflammation levels. Sears recommended one-third lean protein and two-thirds fruits or vegetables at every meal with plenty of omega-3s built in. Diet may not be the only answer, added Weber, who has promising news for those who meditate. “Some research studies have demonstrated that meditation may be able to modulate inflammation,” she said. One review published in 2014 in the Journal of the American Medical Society found evidence that meditation can reduce the chemical signals involved in inflammation. Another study of 49 adults supported by the NIH suggested that eight weeks of mindfulness training reduced stress-induced inflammation better than diet, exercise and music therapy. “While the findings are promising, more research is needed to know for sure,” Weber warned. Experts have said that 35 per cent of all cancers are linked to nutrition issues, and when added to that of lifestyle, they account for 85 per cent of all cancer cases. They therefore stated that 90 per cent of cancers are preventable, with improved healthy lifestyle and right diet even as they advised the public to eat balanced calorie in accordance to energy demand, as well as exercise regularly. 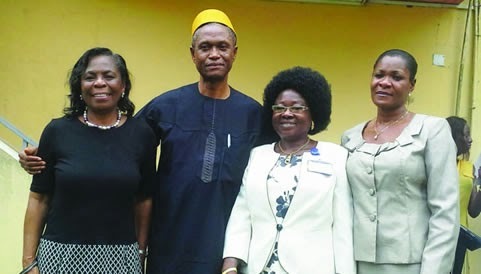 The experts who spoke during a symposium organised by the Nigerian Institute of Medical Research (NIMR) to mark the World Cancer Day recently, advocated for the inclusion of cancer in the government’s priority list with a view to tackling the recent epidemic of the disease in the country. at the institute’s main auditorium. “The government should have political will and commitment for cancer. This is so in some countries where there is political will and government commitment towards the control of cervical cancer, they have free screening for women and they have also made the vaccine available and almost free for children. So to control cancer in Nigeria, there should be political commitment.” she stressed. Anorlu regretted that Nigerians still depend on out of pockets for their health needs and no government or any organisation is helping the patients in the payment of their drugs and their medical care. “Cancer is not beyond us but we still have a long way to go in terms of prevention and treatment. She also said: “When it comes to treatment of cancer we are talking about surgery, radiotherapy, chemotherapy but you find out that all these are not available in many places and where they are available the patients cannot afford it. “Radiotherapy for example which is used to treat cancers is only available in very few centres and at any particular time you have only about three centres that their machines are working and when it comes to Chemotherapy, it is very expensive. A lot of patients cannot afford it,” she added. Director General (DG) of NIMR, Prof. Innocent Ujah, in his opening address said no one should be in doubt of the problem at hand, adding that cancer was fast assuming status of an epidemic and require more attention than it is getting. Ujah noted that cancer is a public health problem that affects all categories of persons. At least, everyone knows someone that either has cancer or had died of the disease. Currently, cancer is the second commonest cause of deaths in developed countries and among the three leading causes of deaths in developing countries. According to him, about 12.4 per cent of all death are attributable to cancer and if the trend continues, it is estimated that by 2020, 16 million new cases will be diagnosed per annum, out of which 70 per cent will be developing countries. “The burden of cancer in Nigeria, as in other African countries remains largely unknown because of lack of statistics and under reporting. Large proportions of the population do not seek orthodox medical care and so are never recorded and reported. Those who do seek medical care presently in late stages when an unfavourable outcome is almost a foregone conclusion, give rise to the high cases fatality rate associated with cancers in Nigeria,” he said. Ujah reminded the authorities that the global action plan for cancer control by the WHO had called for national, international and multi-sectoral action across multiple areas to reduce cancer risks in populations, and to strengthen healthcare delivery system for people with cancer. “Nigeria cannot afford to be different,” he said. On his part, the DG informed that NIMR had keyed into this global action plan by establishing the Non-Communicable Disease (NCD) Research Group, which is mandated to conduct research and develop institutional capacity in the area of common cancers in Nigeria. To this end, the institute has also just completed the construction of a modern, state-of-the-art Cancer Research Centre (CRC) for comprehensive cancer research and care including high tech diagnostic facilities, Ujah said. The centre will be commissioned soon. Collaborating with Dr. Jerry Iwuoha, Consultant Physician with interest in Hypathology who had said nine out of 10 cancers are preventable, Dr. Brai Bartholomew of the Lagos University Teaching Hospital (LUTH), Idi-araba observed that 35 per cent of all cancers are linked to nutrition issues, and when added to that of lifestyle, they account for 85 per cent of all cancer cases. He said it shows that cancers are preventable, with improved healthy lifestyle and right diet. Bartholomew advised the public to eat balanced calorie in accordance to energy demand, as well as exercise regularly. While the advice could help in preventing some cancer, there are others that are genetically-related. Head of the Clinical Trial Group, NIMR, Dr. Agatha David, observed that some childhood cancer have known causes, and between five to 15 per cent are genetic in nature. David said causes of many childhood cancers, however, remain unknown because of unavailable modern diagnostic, treatment facility and skill capacity in the country. On her part, Head, NIMR NCD Research Group, Dr. Nkiruka Odunukwe noted that the institute is expanding its activities on cancer from public enlightenment to prevention, clinical management and research on common cancers in Nigeria. “As part of activities to mark this year’s WCD, we are carrying out a weeklong free breast and cervical cancer – screening. Today’s Scientific Symposium is part of activities to educate the general public as well as update the knowledge of medical professionals on timely diagnosis, better management and quality research work to reduce cancer burden,” she added. This story was published in Newswatch Times on March 12, 2015. To reduce the rate of infant and child mortality in African countries, Nestlé Nutrition Institute Africa (NNIA) is in partnership with the European Society of Paediatric Gastroenterology, Hepatology and Nutrition (ESPGHAN) to build capacity of young paediatricians. Dedicated to the science of nutrition in Africa, NNIA creates enabling platforms for health care professionals to discuss and share knowledge. The ‘ESPGHAN Goes Africa’ partnership is a postgraduate course, which focuses on important clinical problems in paediatric gastroenterology, hepatology and nutrition. The course aims to give medical practitioners in the continent a platform for networking and interacting with each other on clinical and scientific problems in the various institutions and countries where they work. Since its inception, over 100 paediatricians have been trained from various countries in Africa so far. This year’s participants were drawn from Cote d’Ivoire, Nigeria, Ghana, Cameroon, Botswana, South Africa, Mozambique, Zambia, Uganda, and Tanzania. The first module ran between March 1 and 7. Students will continue e-learning training in nutrition and complete the course with the second module taking place in October 2015. Successful participants will be issued a certificate by the University of Cape Town. Supported by the Paediatric Gastroenterology, Hepatology and Nutrition division of Red Cross War Memorial Children’s Hospital, Cape Town, South Africa, the course faculty is composed of experienced members of ESPGHAN. A cross-section of participants at Nestlé Healthy Kids Teachers’ workshop in Lagos... recently. The course is made possible by a NNI grant to ESPGHAN. Commenting on the programme, one of the participants, Dr Agozie Ubezie from Nigeria said that the workshop has greatly improved her knowledge of gastrointestinal, liver and nutritional disorders in children. She said: “Through the involvement of an international faculty and participants from across Africa, ESPGHAN provided a great learning, knowledge and experience sharing opportunity”. Another participant, Dr Kwabena Agyeman from Ghana, added that “ESPGHAN is a very educative platform to train paediatricians in the area of Gastroentology and Hepatology since there are very few specialists in that area in Africa”. Nestlé is committed to implementing continuous nutrition education programmes for healthcare professionals. This is part of the company’s commitments to help address nutrition challenges. In 2014, a total of 6,535 of healthcare professionals from Central and West Africa participated in the different trainings organised by NNI A. NNI A is part of the Nestlé Nutrition Institute (NNI), the world’s largest private publisher of nutritional information. As well as having published more than 3000 papers, NNI offers a selection of more than 400 online conferences, and organizes scientific workshops and satellite symposia with leading nutrition experts. This story was published in Newswatch Times on March 14, 2015. Physicians have provided evidence that even in the absence of increase in blood pressure, excess dietary sodium can adversely affect target organs, including the blood vessels, heart, kidneys and the brain. Sodium is essential for fluid balance and cellular homeostasis, or maintenance of a stable internal environment in an organism. But the amount of salt needed to maintain homeostasis in adults is quite low – about 500 milligrams (mg) per day. On the contrary, many consume more than six times that much, which leads to high blood pressure in many people.New research has suggested that not everyone can eat salty snacks and convenience foods without having low blood pressure. A review paper co-authored by two faculty members in the University of Delaware College of Health Sciences and two physicians at the Christiana Care Health System provides evidence that even in the absence of an increase in blood pressure, excess dietary sodium can adversely affect target organs, including the blood vessels, heart, kidneys and the brain. However, the research cited in the paper showed that there were adverse effects on multiple target organs and tissues, even for people who are salt resistant. Potential effects on the arteries include reduced function of the endothelium, which is the inner lining of blood vessels. Endothelial cells mediate a number of processes, including coagulation, platelet adhesion and immune function. Elevated dietary sodium can also increase arterial stiffness. Farquhar and Edwards have done previous work in this area, with one study showing that excess salt intake in humans impairs endothelium-dependent dilation and another demonstrating that dietary sodium loading impairs microvascular function. In both cases, the effects are independent of changes in blood pressure. They review their work and the growing body of evidence to support a deleterious effect of dietary salt on vascular function independent of blood pressure in a recent invited paper in Current Opinion in Nephrology and Hypertension. “High dietary sodium can also lead to left ventricular hypertrophy, or enlargement of the muscle tissue that makes up the wall of the heart’s main pumping chamber,” Edwards said: “As the walls of the chamber grow thicker, they become less compliant and eventually are unable to pump as forcefully as a healthy heart.” Regarding the kidneys, evidence suggests that high sodium is associated with reduced renal function, a decline observed with only a minimal increase in blood pressure. Finally, sodium may also affect the sympathetic nervous system, which activates what is often termed the fight-or-flight response. “Chronically elevated dietary sodium may ‘sensitize’ sympathetic neurons in the brain, causing a greater response to a variety of stimuli, including skeletal muscle contraction,” Farquhar said: “Again, even if blood pressure isn’t increased, chronically increased sympathetic outflow may have harmful effects on target organs.” Jurkovitz pointed out that studying the effects of salt restriction on clinical outcomes is not easy. Challenges include accurate assessment of intake, long-term maintenance on a defined salt regimen, and the need for large numbers of patients and extended follow-up to obtain enough outcomes for meaningful analysis. However, she said: “A large body of evidence confirms the biological plausibility of the association between high sodium intake and increases in blood pressure and cardiovascular events.” This evidence has resulted in the American Heart Association’s recommendation that we consume less than 1,500 mg of sodium a day. Taking the salt shaker off the table is a good way to start, but it is probably not enough, said Weintraub, whose work focuses on cardiology outcomes. “Approximately 70 per cent of the sodium in our diets comes from processed foods, including items that we do not typically think of as salty such as breads and cereals,” he said. “Also, restaurant food typically contains more salt than dishes prepared at home, so eating out less can help reduce salt intake, especially if herbs and spices – instead of salt- are used to add flavour to home-cooked meals.” But the authors acknowledge that shaking the salt habit would be easy, and it won’t happen overnight. “Reducing sodium will take a coordinated effort involving organizations like the AHA, food producers and processors, restaurants, and public policy aimed at education,” Weintraub said.